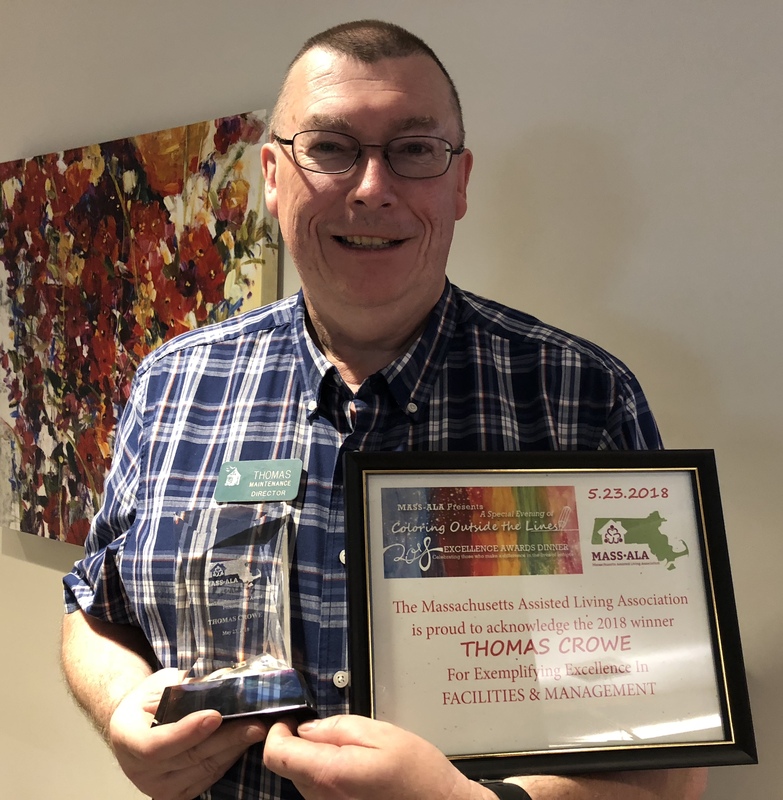 Thomas Crowe, Director of Maintenance at Springhouse Senior Living was named a recipient of the Facilities Excellence Award by the Massachusetts Assisted Living Association (Mass-ALA) at the organization’s annual Excellence Awards Dinner on May 23, 2018. The awards are presented each year to individuals at every level of assisted living who have demonstrated their desire to make a positive difference in the lives of residents and who, in the view of their peers, stand out as role models in the industry. A well deserved award for our own Thomas Crowe! If you see him around the building, please congratulate him!